When Donald Trump Jr. testified to Congress about his meeting with a Russian lawyer during the 2016 campaign, he was asked about two calls he placed to blocked phone numbers while setting up the meeting. The president’s son said he couldn’t remember whom he called — and Democrats questioned whether he called his father. But Senate investigators have determined the calls were not in fact to Trump’s number, CNN reported Thursday. Instead, per the New York Times, Don Jr. called NASCAR CEO Brian France and investor Howard Lorber. Now, Trump is claiming vindication. But Democrats still have many questions. Democrats have long been suspicious of this claim, and have looked for evidence showing Trump did know. The “blocked call from Don Jr. to Trump” was one theory proposed about how he could have found out. In particular, one of the blocked calls took place on June 6, 2016, just before Don Jr. called back Emin Agalarov, the Russian-Azerbaijani pop star who helped set up the meeting. Some commentators were intrigued by the fact that one of Don Jr.’s blocked calls was to developer Howard Lorber, who the Washington Post wrote in 2016 had “deep ties to Russia”and was even involved in an older effort to build a Trump Tower Moscow. Mueller has been investigating at least three events involving Don Jr. But to put the development in context, the “blocked calls” was just one of a broader set of questions about Don Jr.’s Trump Tower meeting. And that meeting isn’t even the only thing Don Jr. is being investigated for. 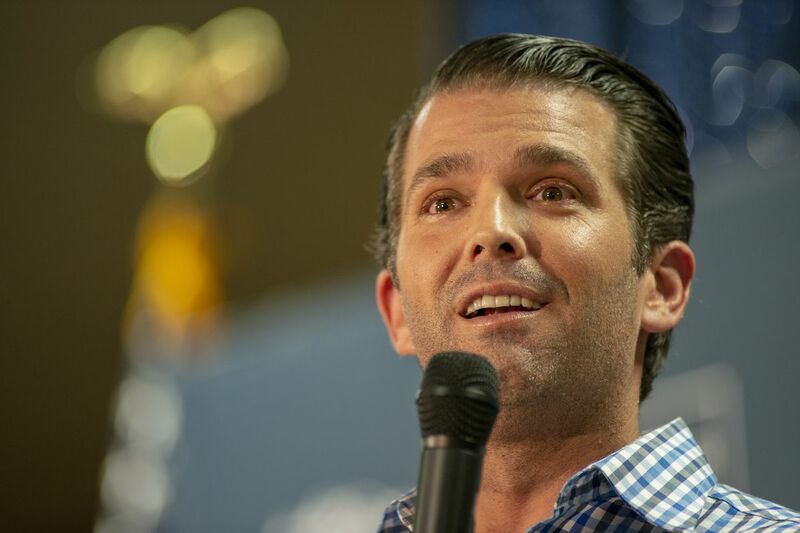 In fact, there are at least three separate events involving Don Jr. that special counsel Robert Mueller has devoted significant effort to probing. 1) The Trump Tower Russian meeting: This is the June 9, 2016, meeting between Don Jr., Jared Kushner, Paul Manafort, Russian lawyer Natalia Veselnitskaya, and a few others, set up with the promise of dirt on Hillary Clinton coming from the Russian government. While some have been focused on the question of what Donald Trump knew in advance of the meeting, I argued last year that the far more important question is what truly happened during and after the meeting. The Trump team claims it was an unproductive discussion that led nowhere, and if that’s true, then the whole thing may have been a bad idea but was in the end inconsequential. 2) The Trump Tower Moscow talks: These are the efforts from Michael Cohen, kept secret from the public during the 2016 campaign. Mueller recently charged Cohen with lying about the extent of talks and Russian government officials’ involvement in them. And the special counsel wrote in the charging document that Cohen had briefed “family members” of Donald Trump about the project, which was widely taken as a reference to Don Jr.
3) The other Trump Tower meeting: The New York Times also reported last May that Don Jr. took a second meeting about potential foreign assistance with winning the election, in August 2016. No Russians were present — the meeting instead involved George Nader (an adviser to the crown prince of the United Arab Emirates), Erik Prince (an American private security contractor), and Joel Zamel (an Israeli “social media manipulation” specialist. It is not clear what happened as a result of this meeting, but Mueller has reportedly probed it. So the news about the blocked calls is a significant bit of new information — but hardly a definitive exoneration of the president and his son.